Season 4 of Better Call Saul delivers a movingly sincere finale as the show gets one step closer to Breaking Bad. Warning: This contains spoilers. Not caught up with Season 4? Read our spoiler-free review of the opening episode here. It’s all a question of sincerity. That’s what Better Call Saul Season 4 boils down to. The sincerity of Jimmy McGill (Bob Odenkirk) has always been up for question, ever since we first met him in a bathroom mirror in the local courthouse, practicing his smile and declaring that it’s “showtime”. 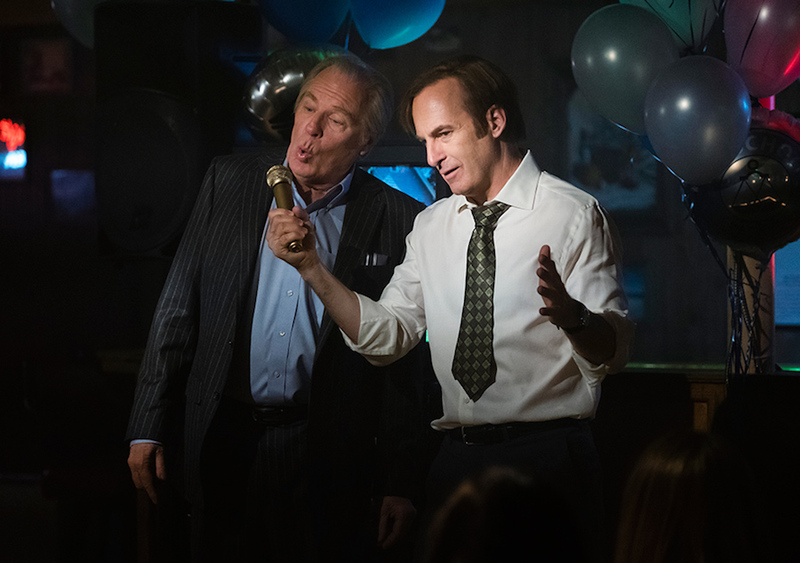 What we’ve always known, of course, is that the question already has an answer: Jimmy will, at some point, transition into Saul Goodman, and that’s the point at which McGill’s good-hearted sincerity is no longer there. The final two episodes of Season 4 lead us directly to that turning point – and find a similarly poignant echo of that journey in Mike’s own story. The dovetailing of these two subplots has been a mainstay of the Breaking Bad prequel’s storytelling, allowing the show the maximum number of opportunities to do its own thing, while tying these new threads to the existing world of Vince Gilligan’s crime drama. Mike has become the gateway to Gus Fring’s empire, which, in turn, has introduced us to the Salamancas – most notably, Hector. 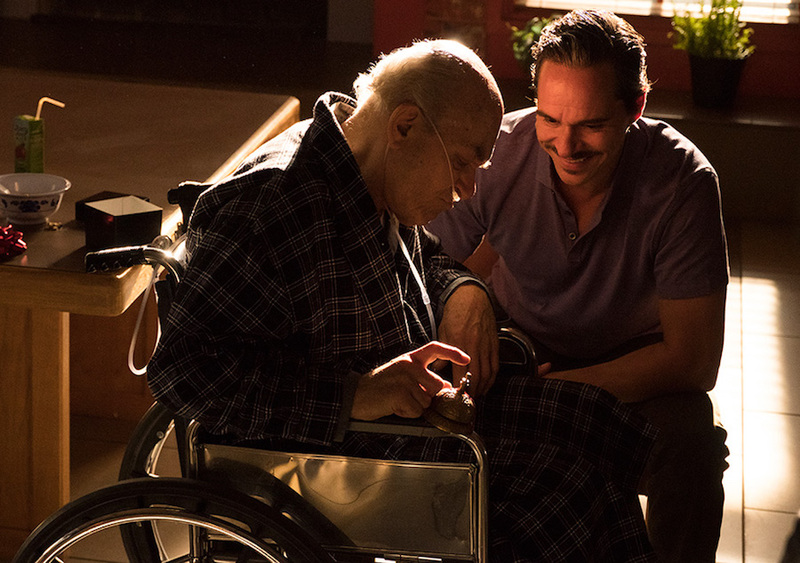 Episode 9 devotes its biggest amount of screentime yet to that side of events, as we see Hector visited by Lalo (Tony Dalton) – who got a namedrop in Breaking Bad – and he brings with him a concierge bell that he ties to Hector’s wheelchair, so he can communicate with it. Dalton’s clearly having fun with his smiling, sleazy gangster (complete with greasy moustache), sinking his teeth into a monologue that gives us another glimpse of Hector’s backstory – the bell, in a nice touch, turns out to be a souvenir of a hotelier he killed, making it both an oddly empowering memento for the injured man, as well as his eventual tool for defeating Fring many years from now. Lalo, though, is far from sincere, when he meets Gus and thanks him for saving Hector’s life – and he promptly starts using Nacho to track where Gus’ vans deliver their drugs so he can plot to take back their business. Fring, meanwhile, is more focused on his secret underground lab, which is nearing completion – a sign of how much time this season of Better Call Saul has deceptively covered, if the increased volume of Breaking Bad-esque plotlines hadn’t given it away already. And so when Werner goes missing, Lalo joins in the hunt for the absent German, hoping to find a way to turn things to his advantage. Episode 9’s title, Wiedersehen, hints at the looming departure on the cards, but it takes its time to build to that farewell. It begins in the most innocuous of ways, with Herr Ziegler telling Mike (Jonathan Banks) about how much he misses his wife. It’s a sweet exchange, delivered with maximum heart and melancholy by Rainer Bock – the kind of warm presence that even gets Banks to soften his cement-slab growl in sympathy. When he absconds in the night, then, and leaves a note saying he’s gone to meet his wife for a few days, the question is: how sincere is he? Mike tells Gus that he believes the man leading the engineering crew, but that doesn’t stop Gus wanting to track him (and his wife) down and killing them both – it’s neater that way, Giancarlo Esposito’s typically clinical chicken shop owner decides. Mike, however, isn’t cut from the same cloth and doesn’t want to kill a man who hasn’t done something wrong. Mike, inevitably, succeeds in tracking Werner down (via some brilliant fake-emotional-storytelling at a money transfer joint – the opposite of Lalo, who just climbs through ceiling panels and gets out a gun). But their reunion is far from sweet. “What did you think was gonna happen?” asks Mike. “I thought I would come back and my friend Michael would be very, very angry, but in time, he would understand and forgive,” replies the timid Werner. But this is the world of Gus, where forgiveness isn’t a thing – being genuine, and trusting others to be compassionate, doesn’t result in a happy end. And so Mike kills him, cementing Mike’s transformation into Gus’ fixer, while also cementing the transformation of Albuquerque from a small town of eccentric losers to a place where serious consequences are on the cards – romance doesn’t trump debt, work or death. Which takes us back to Jimmy, who is learning precisely the same lesson. Nothing in Better Call Saul’s story, after all, rings quite as true as disappointment. The moments of success, excitement or even, whisper it, happiness are rewarding, but mainly because they delay what we know will be a slide back into frustrating failure. After four seasons of that cycle, we see McGill the younger hit breaking point. It’s a point that’s been a long time coming, as Jimmy has had to balance his usual moral decline with trying to move on from the loss of his brother – and has done so by apparently burying his grief deep down, underneath his Slippin’ Jimmy surface. He’s got a boring job in a shop, started flogging mobile phones on the street to criminals, dived into a con to get Huell off assault charges, anything he could do to be busy, as well as make a quick buck. All of it has been biding time for him to afford a new office and start lawyering again – a sign of how much he’s still trying to live up to the legacy of his brother, a brother whom we’ve seen in flashback this season at his professionally successful best. 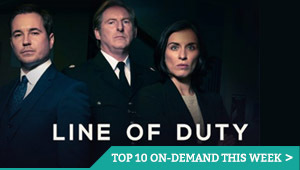 Episode 9 sees Jimmy use his dubious skills to help Kim out, as she sneakily changes the plans Mesa Verde submitted for a new office branch, without the local authorities realising – and so he pretends to be her useless brother, leaving her supposed baby alone in the car, while she rushes out to check on the fictional child… and leaves a bag of milk to leak all over the approved architectural drawings. It’s a smart, subtle ploy, one that helps Kim do her job as a lawyer for her client, but doesn’t exactly help the good guys of the world. 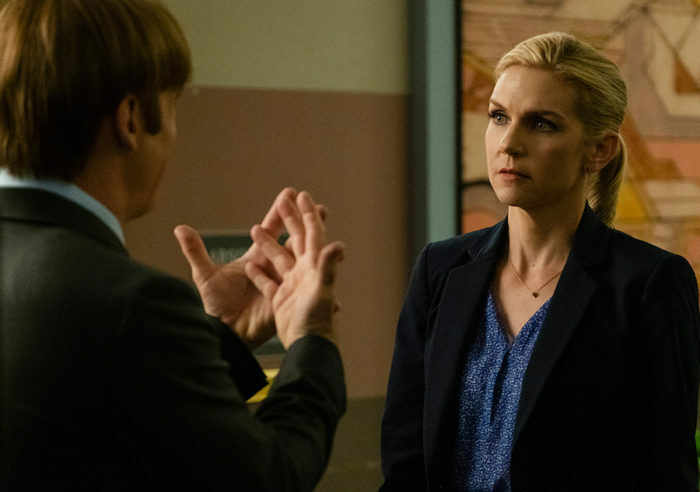 That halfway limbo between good and bad is where Kim (Rhea Seehorn) has blossomed this season, as she thrives on the thrill of grifting with Jimmy, despite her commitment to doing the right thing. Any doubts we’ve had about the consistency of her character are firmly put to rest here, as we find that Jimmy is even more confused by her behaviour; it’s all fuelled the fact that he can’t understand anymore the woman he once knew. And all of that comes to the fore when Jimmy snaps. It’s after his reinstatement hearing, a moment that’s neatly bookended with a flashback to the moment Jimmy was first made an attorney (vouched for by Chuck). In the present day, he nails his hearing, answer every question perfectly – until he stumbles slightly on the subject of “what the law means to him”. He ends up being denied by the committee, because they thought he wasn’t sincere enough – and Jimmy explodes with anger. That anger gets thrown right at Kim on the roof of Schweikart & Cokley (deja vu), when she points out to him that his mistake was not mentioning Chuck at all – Chuck, after all, was his inspiration and idol, as much an enemy. Their ensuing argument leads him to accuse her of “slumming” it with him only when she needs something, and all the prickly details of their acutely observed relationship are scrutinised – the fact that she’ll share an apartment with him, but not an office. Kim, though, points out she’s always supported him and repeatedly rescued him from problems of his own making. He’s projecting his inferiority issues with Chuck onto her, but she’s still been loyal and helpful, and in that disjunct lies the thorny truth of it all: the pair have grown so far apart now that their bond just doesn’t work. Nonetheless, she stops him moving out, having seen his outburst first-hand. Surely, she reasons, it’s a sign of how remorseful and grief-stricken he is – finally, he’s opening up. Seehorn’s superb performance is matched by Odenkirk, who wells up with the burden of everything he’s been shouldering all these years. Both are actors who bring total sincerity to their roles. And so it is that Odenkirk’s lawyer brings you to tears with his address at the end of Season 4 – a fitting final sequence that puts Jimmy’s ability to deliver a closing address front and centre. He begins to read the letter he received from Chuck to the appeals court, the coup de grace to cap off a series of public displays of mourning (including a memorial library). Then, he stops and keeps the letter private, instead going on to speak at length about his admiration for his brother, a moment that leaves Kim on the back row with a lump in her throat. This is gracefully balanced by a flashback to an HHM recruitment drive, when Jimmy advocated for a former shoplifter to be given a chance at a job – only for everyone else to refuse her. He explained to the young candidate that they will all define her by her mistake, but that she should do whatever is necessary to cut corners, bend the rules and get ahead. 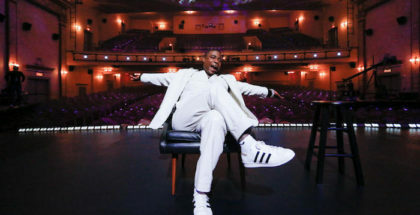 It’s a point he’s learned the hard way, over and over – even at his celebration party for his qualifying as a lawyer, the karaoke that he dragged Chuck to participate in left Michael McKean’s brother painfully seizing the mic and finishing the song, a better singer than Jimmy could ever be. The song? Abba’s The Winner Takes It All, of course (a deliciously ironic set piece). But Jimmy, for once, does emerge as the winner, after his moving speech convinces the appeals court to overrule the panel’s previous decision and reinstate him as a lawyer. His promise? To live up to the name “McGill” and be the best man he can be. There’s no doubt in Kim’s mind that Jimmy means it – so her shock when he reveals that he was faking it all is even more of a gut-punch. In fact, Jimmy’s so confident that he won them over (“It was like improv… or jazz!”) that he doesn’t hesitate to ask the official who approaches him in the corridor to fetch an additional set of forms that will let him change his name when he starts lawyering again. Seehorn’s face as priceless, but not as priceless as Jimmy’s, as he breaks out that bathroom grin from Season 1 and walks off to make his final step into his Breaking Bad incarnation. Is he sincere? 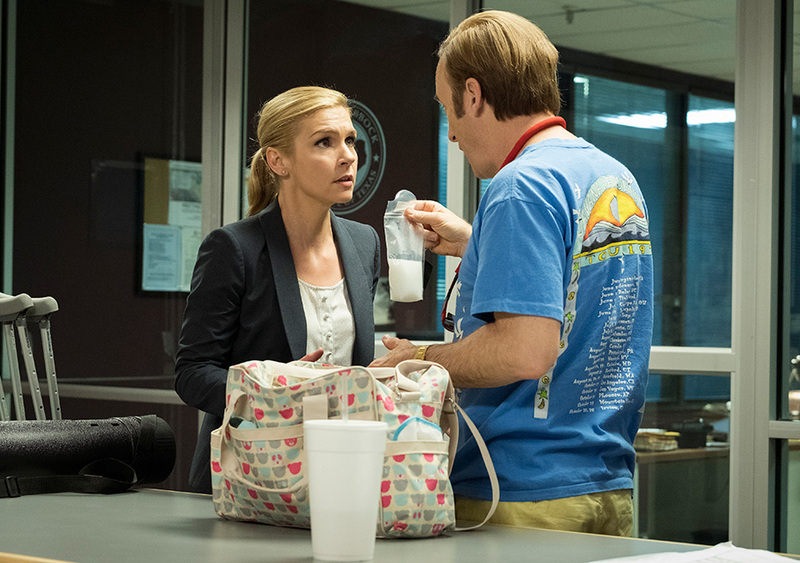 Better Call Saul’s fourth season has been a masterclass in wrong-footing and double-wrong-footing, embracing the ambiguity and untrustworthy nature of its lead character. This whole season, from the phones building up a client base to the blasé attitude towards Howard’s guilt over Chuck’s death, Jimmy has been consistently sincere – it’s just that he isn’t Jimmy anymore. His parting words to Kim? It’s all good, man. Better Call Saul Season 1 to 4 are available on Netflix UK, as part of a £7.99 monthly subscription. New episodes arrive on Tuesdays, within 24 hours of their US broadcast.